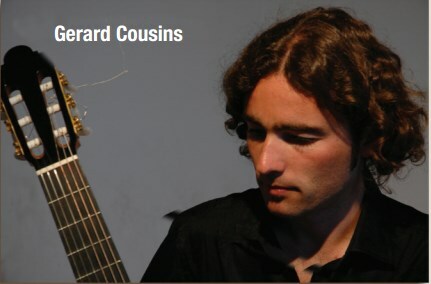 Liverpool Guitar Society and Chester Guitar Circle are proud to jointly present a rare chance to hear Welsh guitarist Gerard Cousins perform solos and duos with his good friend South African guitarist Derek Gripper on a stunning musical journey from Wales to Africa and the world. 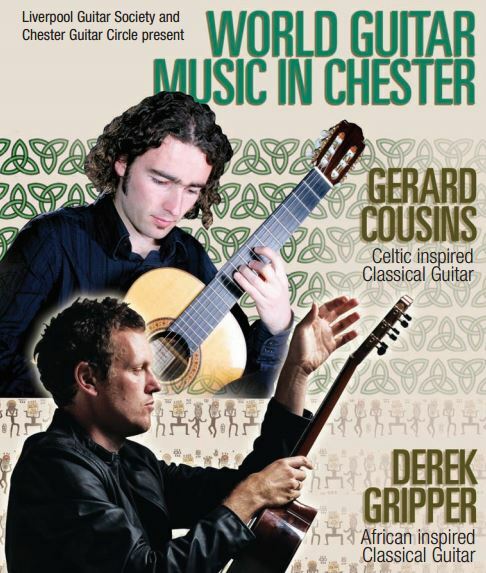 The concert will take place on Saturday 22nd March 2014 at 7.30pm in St. Mary’s Centre, Chester CH1 2DW (Directions). Tickets are £7 on the door, but there are discount tickets of £5 available if booked and paid-for in advance. Seats are limited so you’re advised to reserve your place in advance. 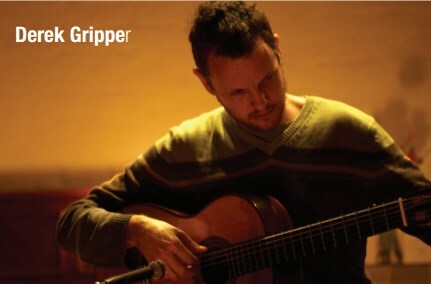 To get advance discount tickets you can either contact us here at Liverpool Guitar Society or alternatively at Chester Guitar Circle if that is more convenient. Both musicians draw on the ancient traditions of their homelands, fusing them with their classical training and techniques for an evening of music that promises some staggering performances from two of the most original and imaginative musicians around.